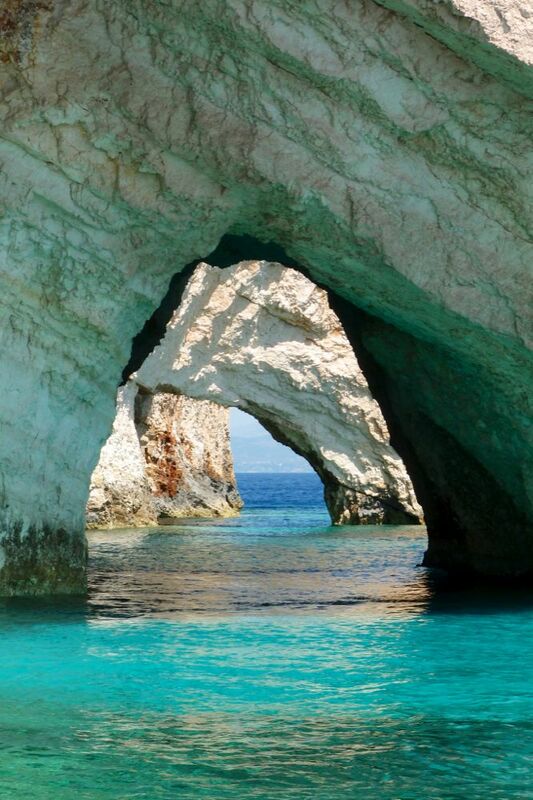 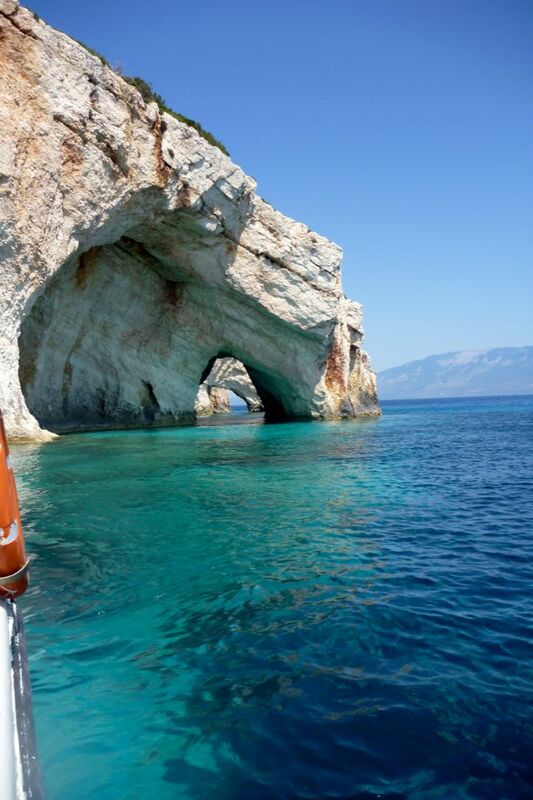 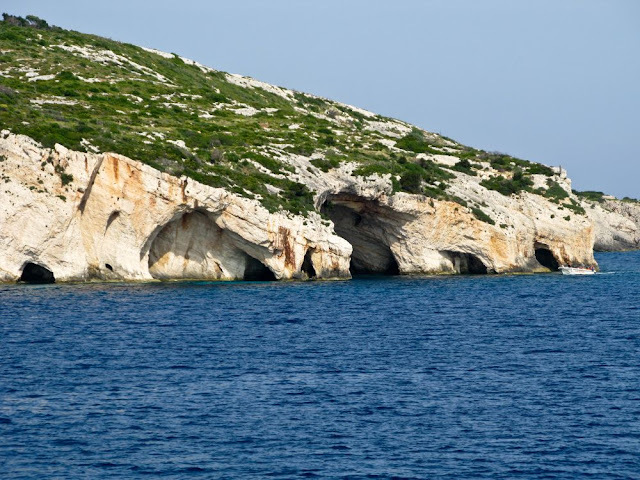 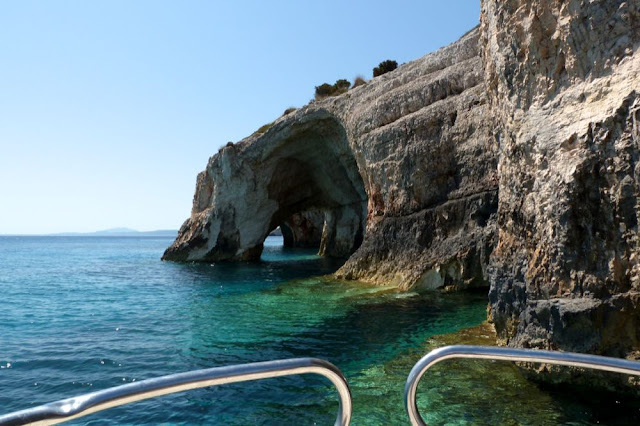 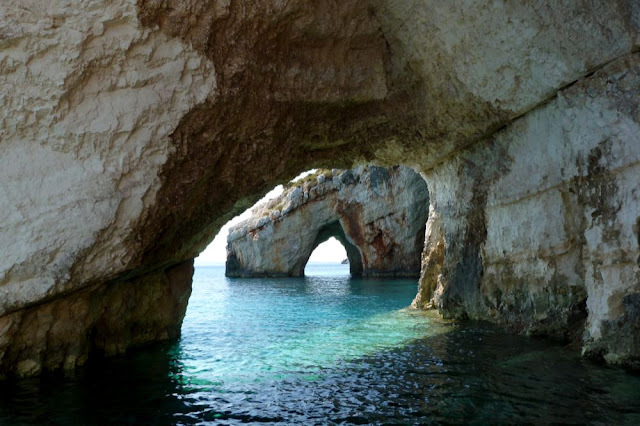 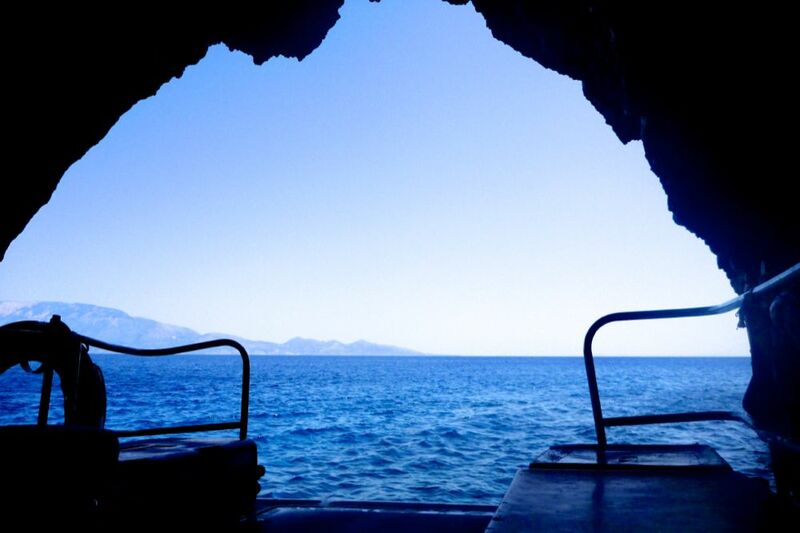 The Blue Caves are one of the islands most famous natural attractions and were discovered in 1897 by Antonio Komouto. 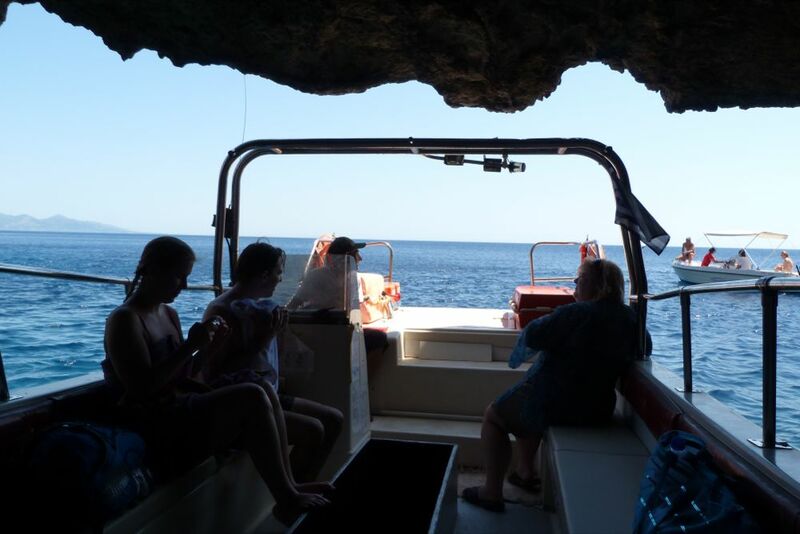 The caves attract thousands of visitors each year and are located just below the lighthouse at Cape Skinari. 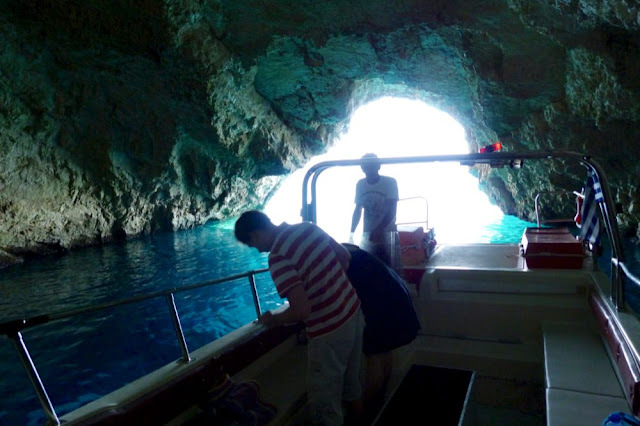 The caves owe there name to the blue waters inside them. 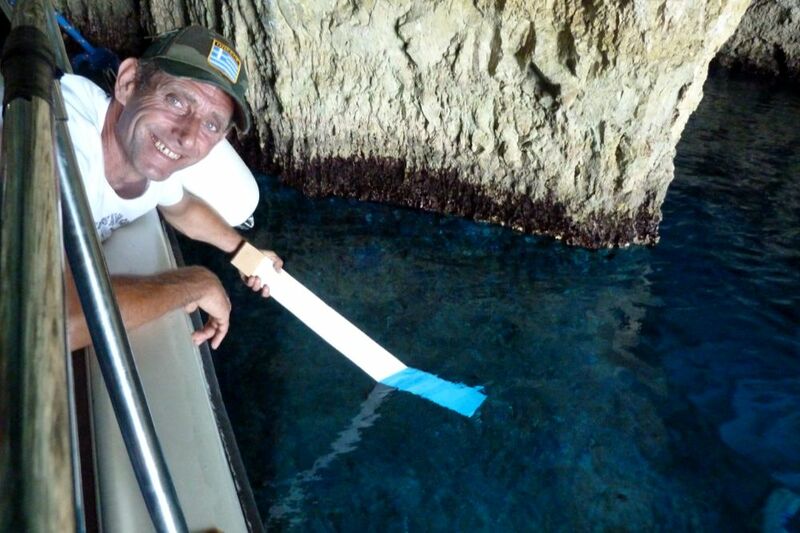 Objects below the water appear to turn blue. 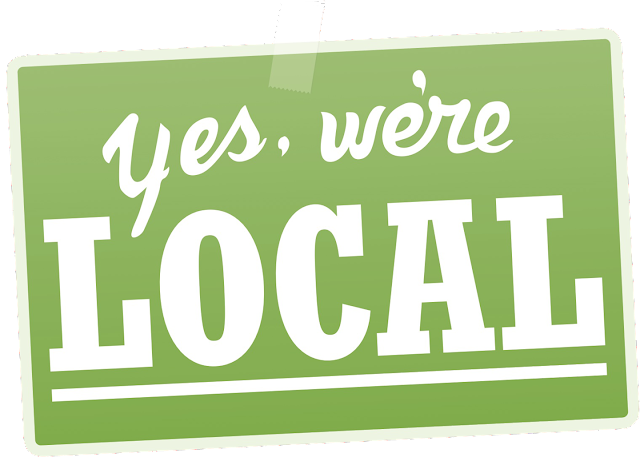 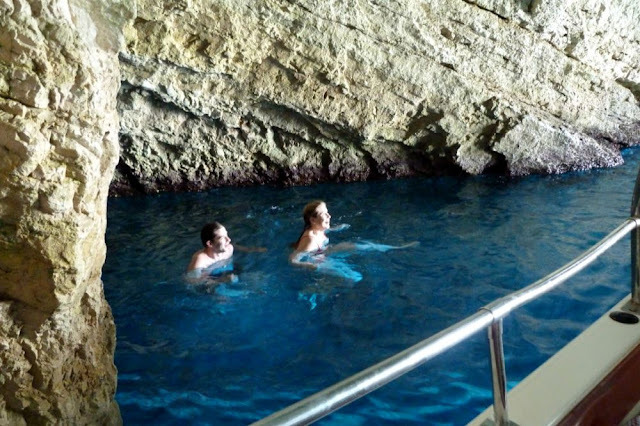 This includes people who can enter the water inside the caves to swim. 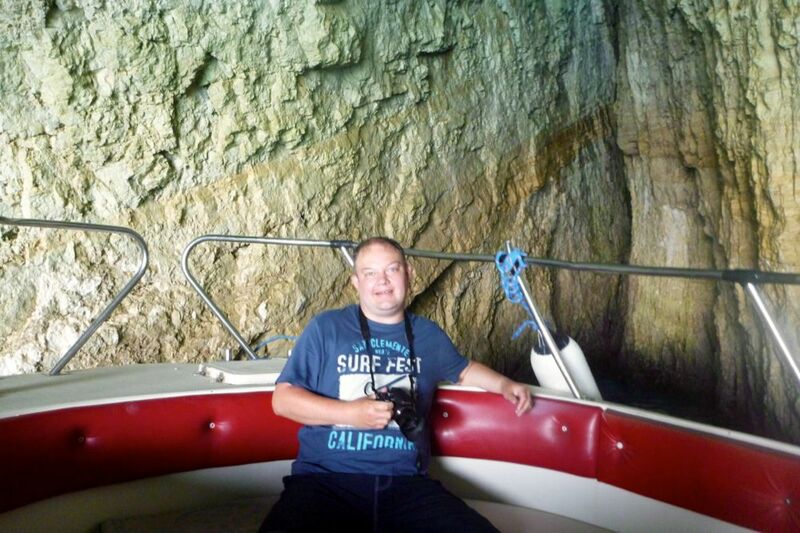 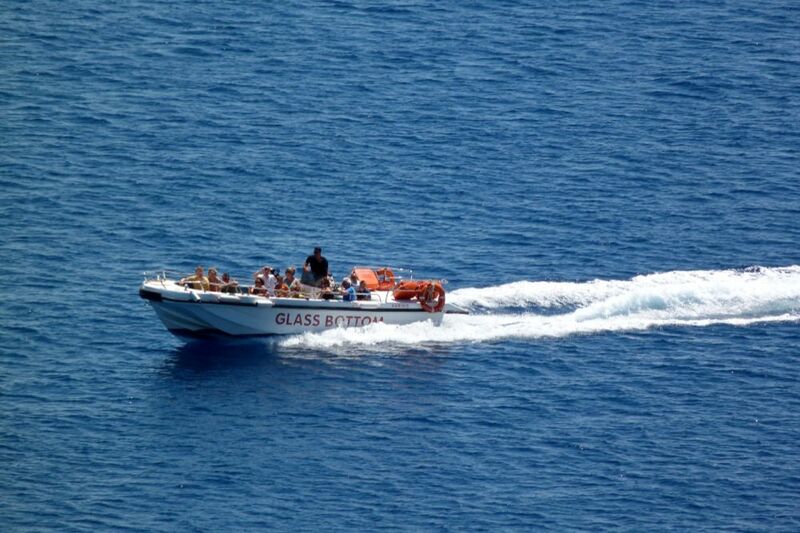 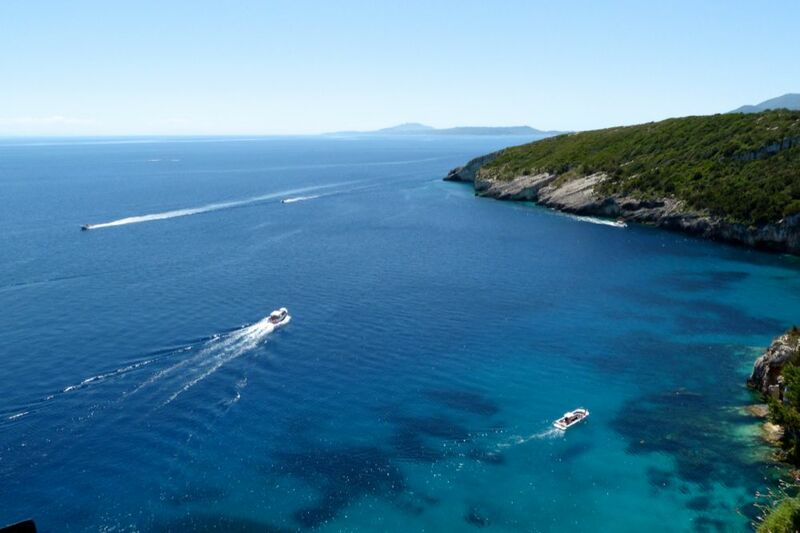 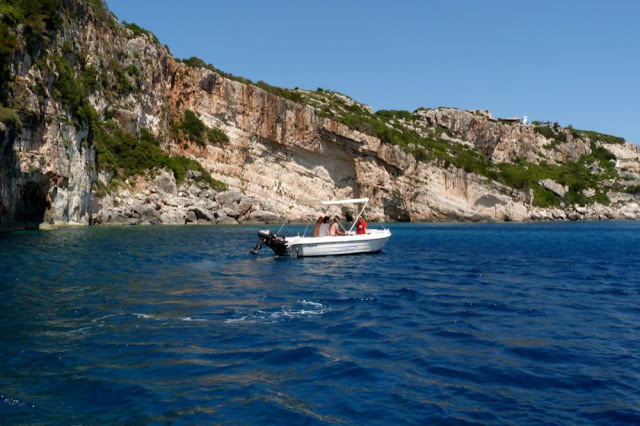 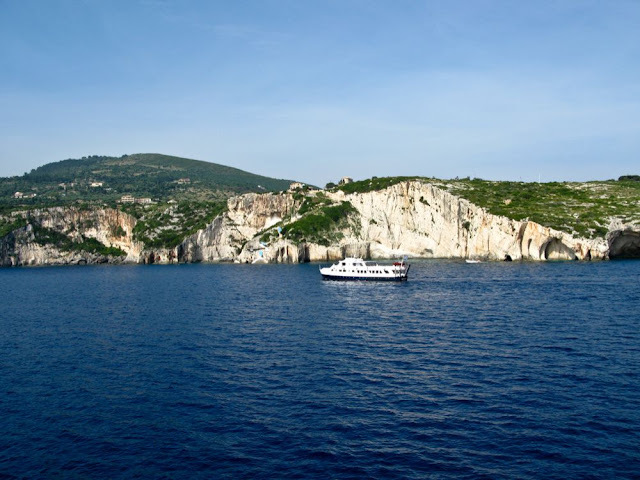 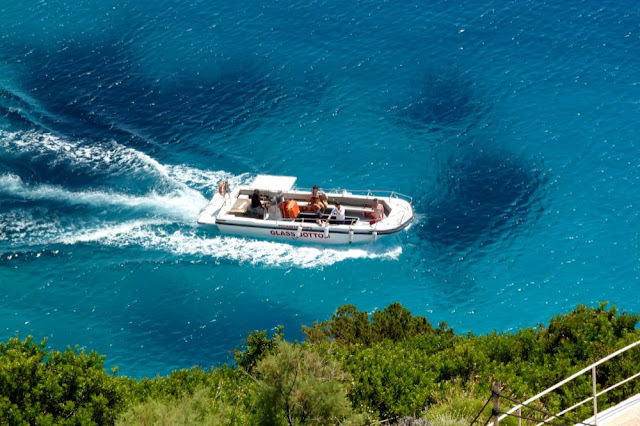 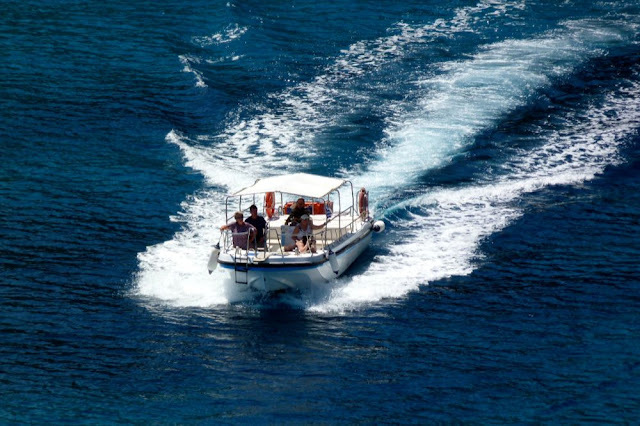 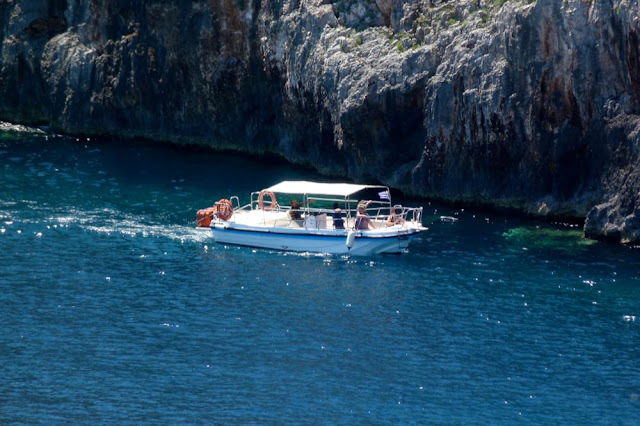 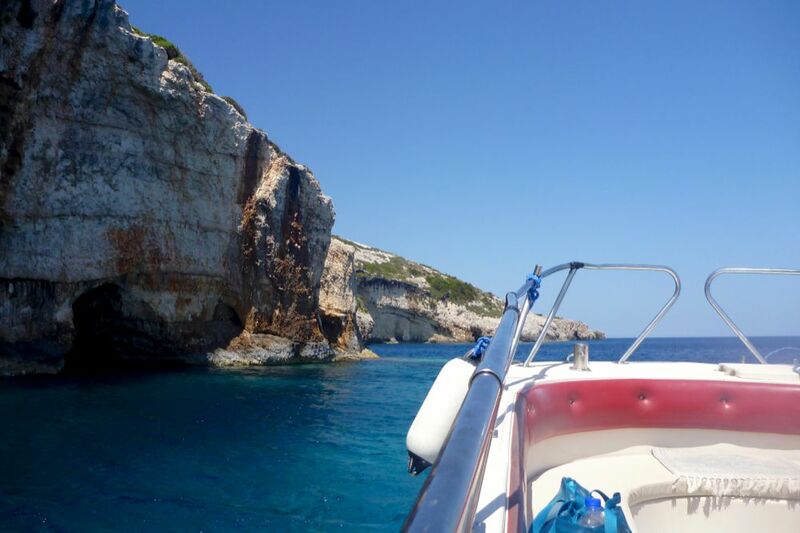 There are many boat trips to the Blue Caves which you can board at places around the island including from the Skinari Lighthouse and St Nikolas Port. All the photographs presented have been taken by Mr Alistair Ford. Alistair loves Zakynthos island and comes every year. 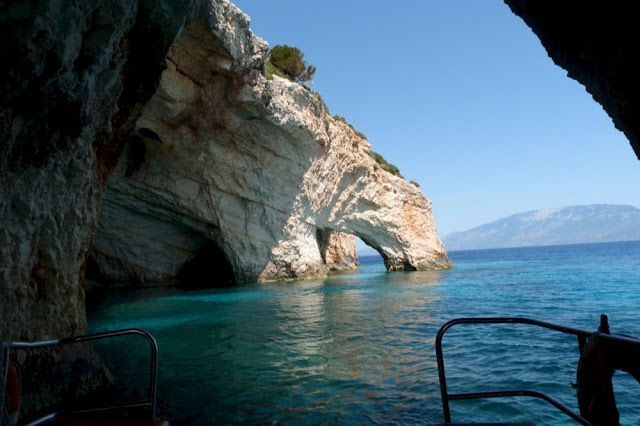 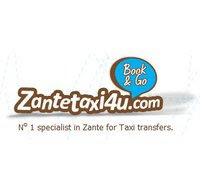 More photos of him can be found on the page Zakynthos Island Images.